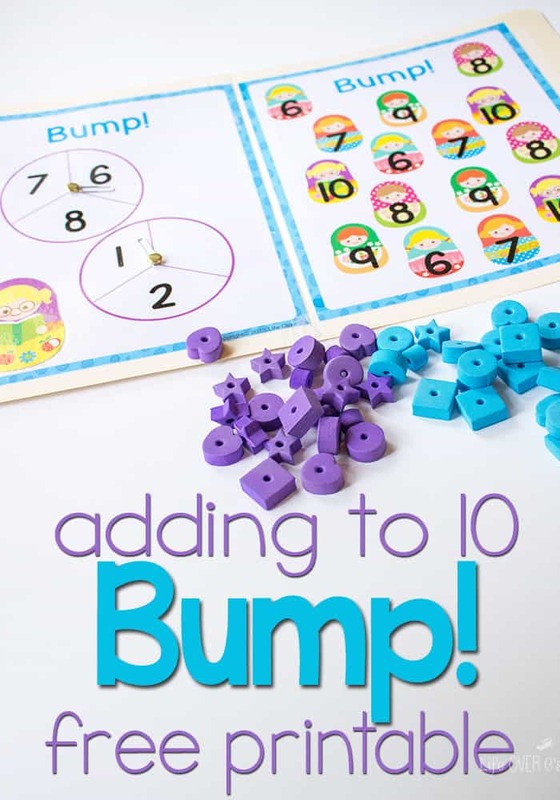 Yesterday, I shared our super fun addition facts review game with a Candyland® feel, today I have a new Bump! game for you! We always love Matryoshkas (due to the fact that we lived so close to Russia for nine years…), so it makes games extra fun when we do a Matryoshka theme. 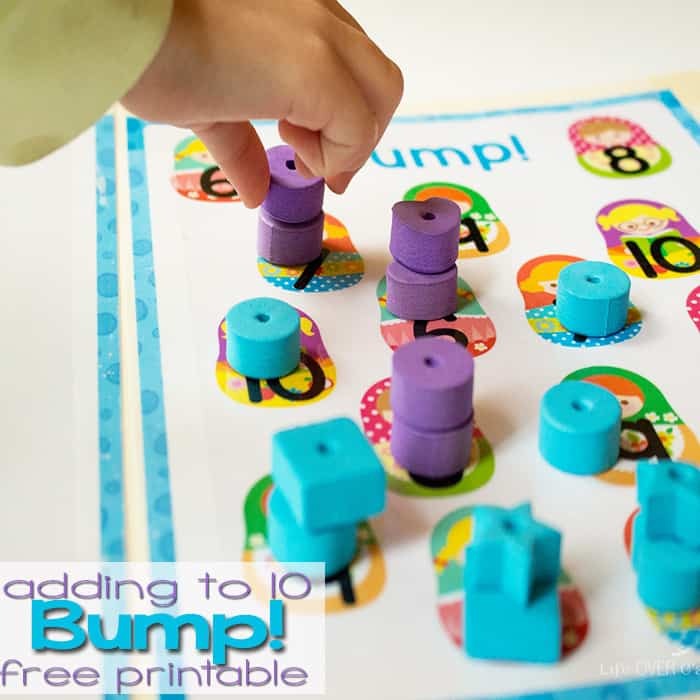 This free printable addition game for adding to 10 is another great way to review addition facts before jumping into the more complex addition of 2nd grade. 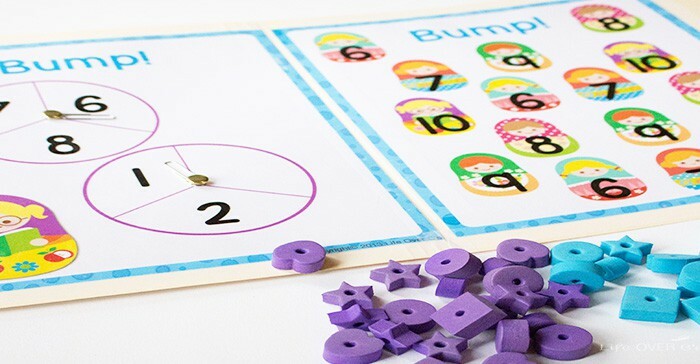 To prep: Print and laminate the game board, spinner page and instruction page. 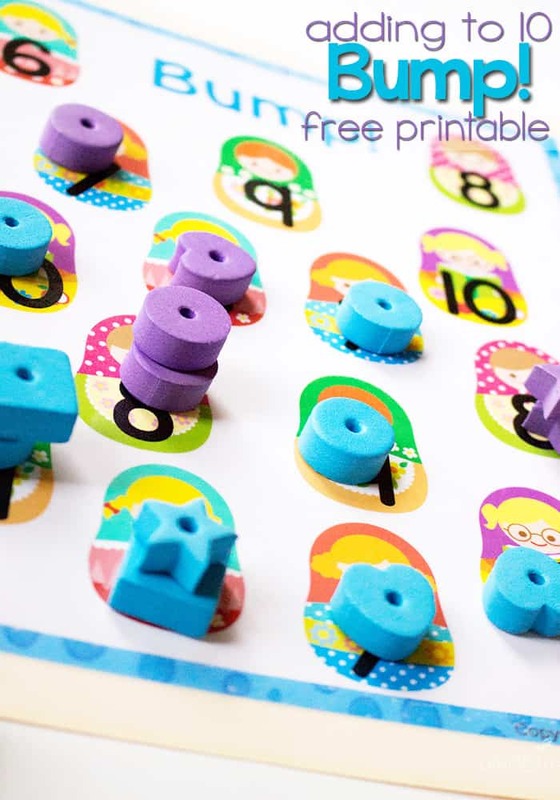 After you have made the spinners, tape the pages to the file folder for easy storage. The spinners and game board go on the inside of the folder and the instructions go on the front. Make the spinners: Poke a hole in the center of the spinner area. Thread a paper clip onto a paper fastener, then poke the paper fastener through the hole. Spread apart the pieces of the paper fastener that are on the back. Make sure to leave about 1/4″ of space between the top of the paper fastener and the paper for easy spinning. Repeat for the second spinner. 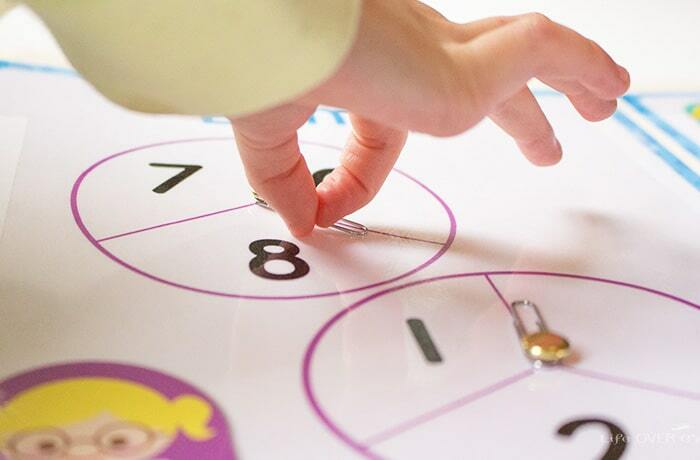 Spin both spinners and add up the total. Put a place marker on the matching number. If the other player has a place marker on that number you can “Bump” them off and put your marker on. If you already have a place marker on that number, you can place a second place marker on top to freeze the number. Frozen numbers cannot be “Bumped”. The game ends when all the numbers have been frozen. The winner is the player with the most numbers frozen.